▷ Kenwood KNA-G270TA update. Speedcam for your maps. Download update. Free custom download. 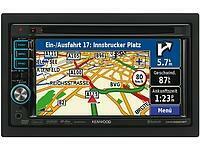 In order to update your GPS device: Kenwood KNA-G270TA with the latest update, follow next instructions. First of all, be sure you got the update file for your Kenwood KNA-G270TA device, downloaded from SpeedcamUpdates.com. In orden to transfer the speedcam database information to your Kenwood KNA-G270TA device you have to use POI loader application. Click next link to download it. Insert in your PC or card reader, a blank SD Memory Card. Run POI loader. In the first screen of POI Loader select "Custom Folder". Now select a folder where the new files will be saved. We choose the SD card drive. Browse to the folder where you extracted the files before. Select Express Mode, and wait for the application finish copying a new binary file for your Kenwood KNA-G270TA device. When the process finished, you will see a new file called poi.gpi. Take out your SD memory card and insert it into your Kenwood KNA-G270TA device. Now you have to copy that file in a specified folder. Now copy that file in a directory structure like [SD]:\garmin\poi\poi.gpi.